Jerry Lambert, who played phony Sony exec Kevin Butler, has reached an agreement with Sony. The actor appeared in a Bridgestone ad, playing a rival game console, the Nintendo Wii. 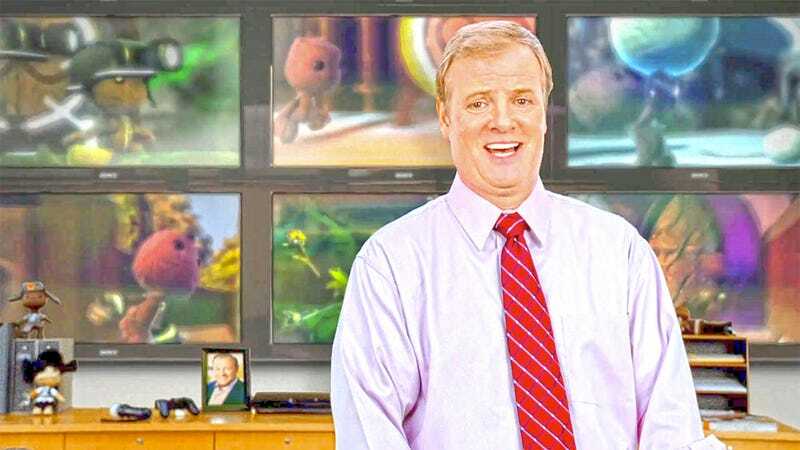 Media Post (via Eurogamer) reports that Lambert agreed that his contract with Sony excluded him from promoting rival game machines, and that doing so was confusing to some viewers, who thought he was playing the Kevin Butler character in both commercials. The ad resulted in a lawsuit, with Bridgestone saying the character wasn't Kevin Butler. With the settlement, Lambert agreed not to appear in commercials related to "any other video game or computer entertainment system or video game company" for two years. After that period, Lambert can appear in video game commercials, but during the first two years after, the actor agreed to notify Sony and give the company details so that they "can assess whether or not Lambert's intended performance violates [Sony's] rights in the Kevin Butler character." Sony, not Lambert, owns the rights to the Kevin Butler character. While Sony and the actor have reached an agreement, the Tokyo-based electronics giant is still battling it out with Bridgestone in the U.S. District Court for the Northern District of California. While they do that, take our quiz and see if you can tell who Kevin Butler is! But, Can You Tell Who Kevin Butler Is? Take This Quiz and Find Out!